This is a video I shot in 2019, on February 24th. 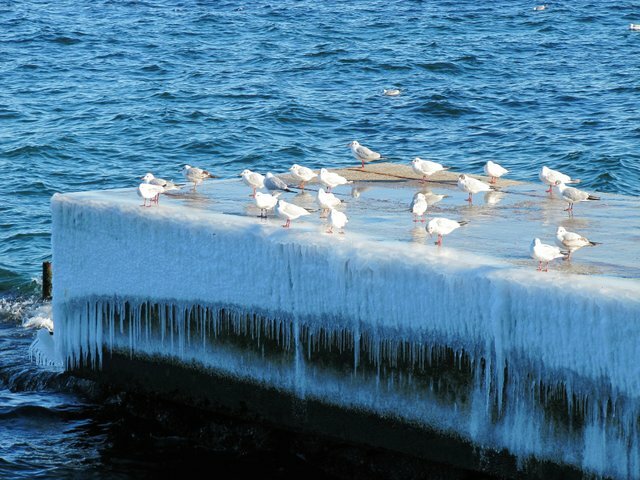 The birds sat on the icy pier and waited for the crumbs. Their paws slid across the ice. You can see it yourself. That was fun to watch... They sure are squawky!